We are delighted to announce the full programme for our tenth Annual Summer Conference, which will take place on Monday 11 June 2017 at The Sheraton Grand Hotel, Festival Square, Edinburgh. The conference will cover a variety of public law topics including updates on recent public law cases from Scotland and the rest of the UK; developments in human rights law; discussion on access to justice in public law cases; and an examination of Brexit on public law from domestic and EU perspectives. The full programme can be viewed here: SPLG Annual Conference Brochure 2018. The event will be eligible for 6 hours CPD. Registration from 9am – 9.25am. Refreshments and lunch will be provided. The conference will close at 5pm and will be followed by a drinks reception. The full programme will be available shortly. Tickets are priced at £95 and can be booked online here. Students studying toward an LLB or Dip.LP and Devil tickets are priced at £55. Please note that refunds are not available for any tickets purchased. For group bookings or enquires in relation to student/ devil places please contact enquiries@splg.co.uk. The SPLG is a not for profit group run by volunteers, which aims to bring together people working in public law in Scotland: solicitors, advocates, central and local government lawyers, the judiciary and academics. 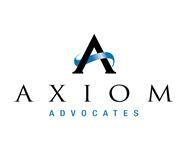 The SPLG Conference 2018 is sponsored by Axiom Advocates.